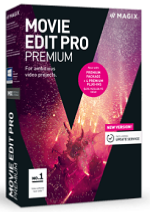 Magix Video Deluxe is also known as Movie Edit Pro in Europe. Movie Edit Pro offers a unique workflow for video editing.Create films using powerful tools and high quality effects with easy operationfor amazing results. As your creative demands grow, Movie Edit Pro grows with you. Updates are included and different program versions are available.